Mizuma Art Gallery is in progress of opening a brand new gallery space “Mizuma, Kips & Wada Art” in New York this Fall. To celebrate the grand opening, we will present Amano Yoshitaka’s exhibition “DEVA LOKA” beginning on October 13th. This Exhibition space will be shared in collaboration with Kips Gallery of New York and Wada Garou of Tokyo. The collection of work for this exhibition entitled “DEVA LOKA (the place where the gods are)” represent the core essence of the artist Amano Yoshitaka’s creations. Deities and monsters that fill up the screens, blend together with mysterious machines in a world of abundance. 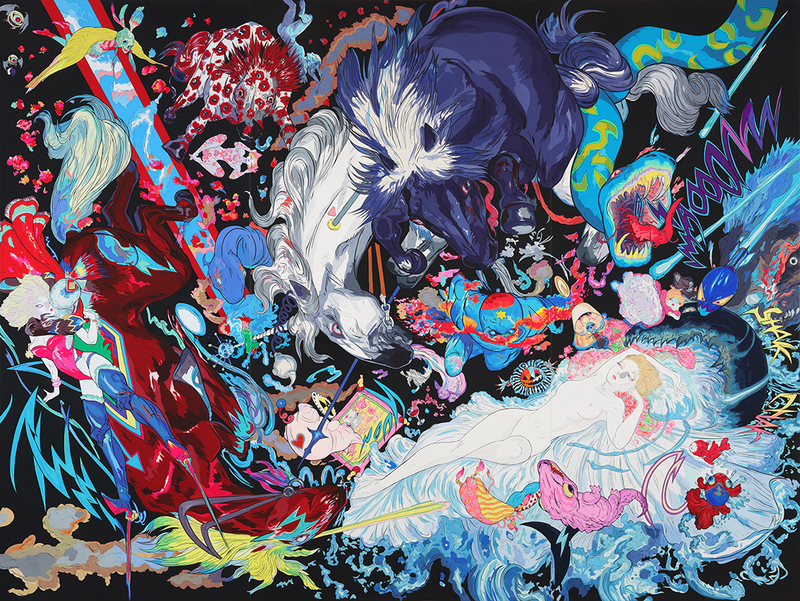 This “DEVA LOKA” exhibition, constitutes entirely of new pieces as well as works inspired by pop art, and familiar characters from Amano’s early career. We eagerly invite you to discover a realm full of imaginations that embarks on the origins of the Universe and the dawn of a new world.